1 tart dough recipe or use (to make a11 inch round circle) of pastry dough, store bought pie dough or use puff pastry dough found in frozen foods section of your local supermarkets. In a food processor add the paste, cheese, honey, vanilla. Blend until smooth. Roll out pastry and place on a heavy duty parchment paper lined baking sheet. Pour the cheese on top of the dough almost to the edges all around. Place the sliced figs on top of the cheese mixture, (microwave jam 10 seconds) and spoon or pour on top of the figs. Fold the edges all around the exposing the center. Brush with some beaten egg white wash and sprinkle with sugar. Bake for 40 minutes or until browned at 400 degrees. Serve with ice cream or plain. This looks wonderful! I'm saving this recipe. Excellent! I am so making this today! But I still have too many figs! Do you have any more recipes for figs? Have you every frozen them? 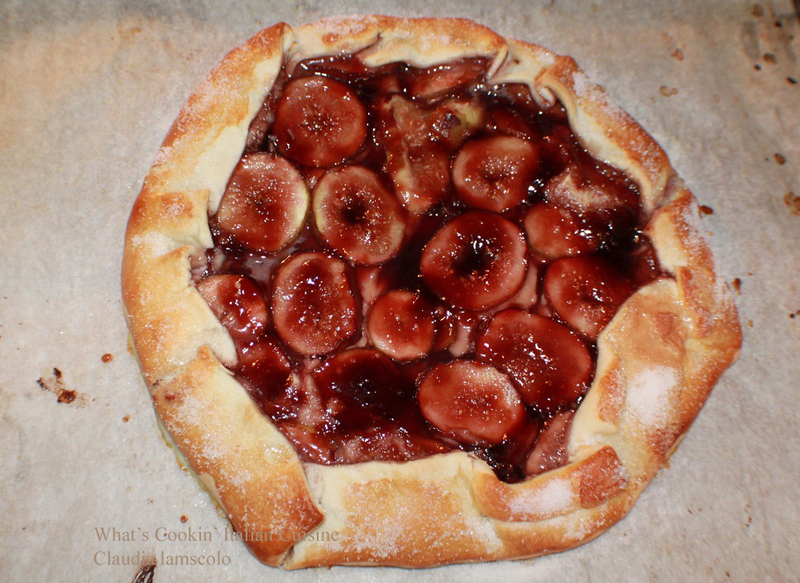 Oh this is one extraordinary galette, Claudia! Figs and mascarpone sound like an amazing combination...love it!!! wow fig and cheese! Figs are too expensive in the UK but I had a few whilst in Italy. I cannot resist them and with cheese they are just heaven. Bravissima! What a beautiful tart! Someone stole 400 of your posts?? To do what?? Wow, that's really clever and gorgeous to boot! I keep wanting to make a galette. 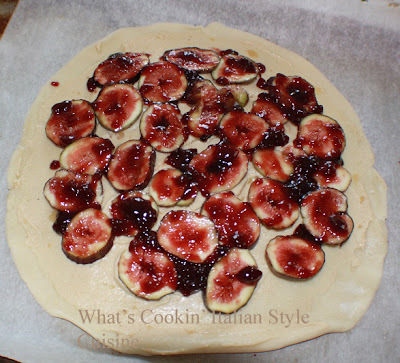 Love the idea of using figs and almond paste. This looks delicious! Wish I had some now! Hope you're having a nice day! Super delicious! I am loving the almond cheese filling in combination with figs! That is one gorgeous fig galette! I love the filling! This is a great use of figs. I saw some at the store today and didn't want to get them until I could figure out something to make with them. This would be perfect. Easy and always delicious but I've never done one with figs. I'll pick some up tomorrow and make this. This looks so yummy! I never had anything like this, might have to give it a go! 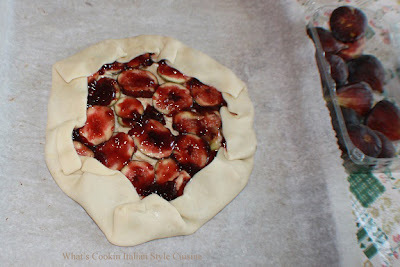 Oh Claudia, Gorgeous galette…filled with my favorite…figs and almond paste!! Yum! !